Want to experience one of the best festivities in Valencia for yourself? The falleras mayores are waiting for you! But what exactly are the fallas? Every year, the celebrations get under way on the last Sunday in February with the crida, or proclamation. That’s the starting gun for a fortnight of partying in Valencia. So get your skates on and book an apartment in Valencia now if you don’t want to miss the next fallas. Choosing where to sleep during the fallas in Valencia is an important decision if you want to make the most of all the celebrations in the city. We recommend the Carmen district and old town, the nerve centre of the festivities. If you visit Valencia for the fallas, the sooner you book, the better, as demand is very high! 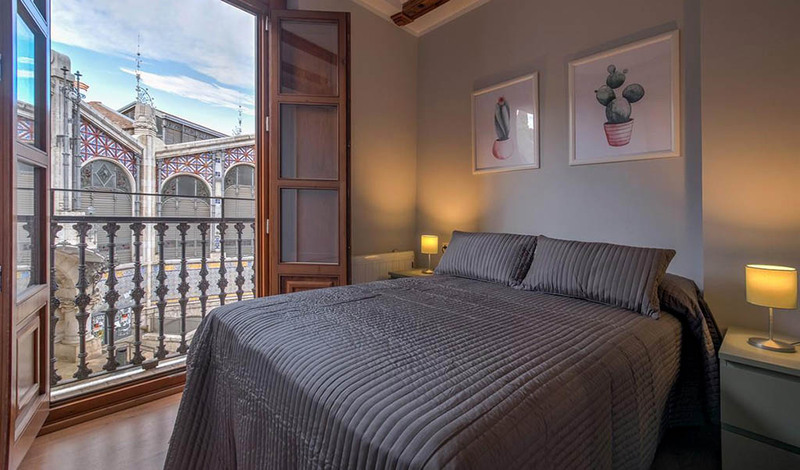 Friendly Rentals apartments in the centre of Valencia are fully equipped with everything you need at great prices and in unbeatable locations for you to enjoy the fallas to the full. . The fallas in Valencia are one of the top festivities in Spain. They have been classified as of International Tourist Interest and are included on Unesco’s List of Intangible Cultural Heritage. If you travel to the city for the fallas, you’ll want to see as much of what’s going on as possible. But if you can't pack it all in, here are the highlights you mustn’t miss. To start with, the plantà, or setting up of the fallas figures at different spots across the city. You’ll need some time to see them all, but it’s well worth it: they are truly unique works of art and you’ll never get the chance to see again up close. The firework displays on the main days are spectacular, but the real treat is the Nit del Foc, which lights up the night sky with a bang for over 20 minutes on the night of 18 March. Over 2,000 kg of fireworks make for an unforgettable experience. It’s also worth attending the floral offering to the Virgen de los Desamparados, patron of the Valencia region and its capital city. Each fallera offers a bouquet of flowers, which build up to form a huge carpet of flowers covering her whole body. 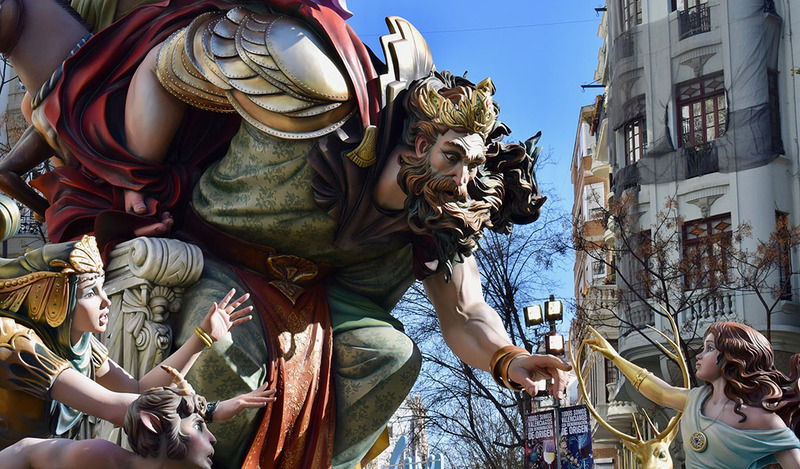 On the evening of 19 March, there’s the Cabalgata del Fuego, which means the fallas are about to be set on fire with the arrival of the carriages of the god Pluto and his floats of devils. The real highlight is the La Nit de la Cremà, on 19 March, when all the figures are burned, bringing the festivities to an end. Once seen, you’ll never forget it! The figures are engulfed by flames and reduced to ashes, and the master falla builders start thinking of their designs for the following year: they’ll soon have to get cracking! Book your apartment for the fallas and enjoy Valencia at its most spectacular.